Percentage germination, plant height, leaf area, relative dry matter yield, plant nutrient concentration, soil chemical characteristics and source/sink relationship were assessed for maize (Zea mays L TZ-SR-Y) planted in a soil polluted with 3% (v/w) crude oil or 0% (untreated soil), after remediation of soil with different organic (Poultry manure, peptone water, sawdust and yeast extract) and inorganic (NPK, KNO3, NH4H2PO4 and (NH4)2SO4) nutrient supplements applied 7 days after oil treatment. 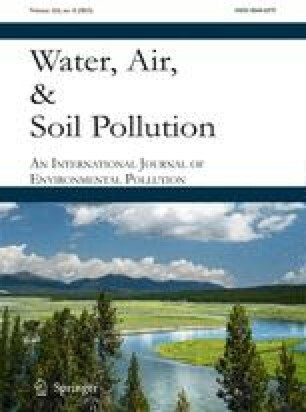 Germination of maize in oil polluted soil was not significantly affected by nutrient supplementation (P=0.05). Maize performance in terms of other studied parameters was highest in the oil polluted soil supplemented with poultry manure, and least in oil polluted soil supplemented with sawdust. Oil treatment correlated significantly with organic C, N, Na, Mg and ferrous in the soil (P=0.05) and with nutrient composition in maize plant tissues (P=0.05). For nutrient uptake, significant correlation was only established between soil N and plant N. Population of petroleum hydrocarbon tolerant microbes increased initially but decreased with time. There is every indication that nutrient supplementation of oil polluted soil especially with organic nutrient sources is beneficial for maize growth, because the C/N ratio is narrowed while the rate of biodegradation of oil and soil recovery is also enhanced. Poultry manure is recommended, however sawdust is not recommended since it tends to impose adverse effect by widening the C/N ratio in soil.